I’ve been a little slow to update here on the blog, but if you follow me on instagram (click here) then you’ll know that there’s been a ton of changes to my nutrition and workout schedules. (I’ve been updating everything daily via Instagram stories – I’ll be updating here on the blog regularly too, but it’s just more immediate over on instagram, so although I hate to ask you to follow me on another social media platform if that’s not your thing, if you can bear it, please do come over and join me there and say hi). I’ll do a bit of a catchup, backdated post soon with the why of I’ve had to make changes, but I wanted to kick it off in this post with how I start my day. First thing I do when I get up is have a cup of hot water and lemon juice. 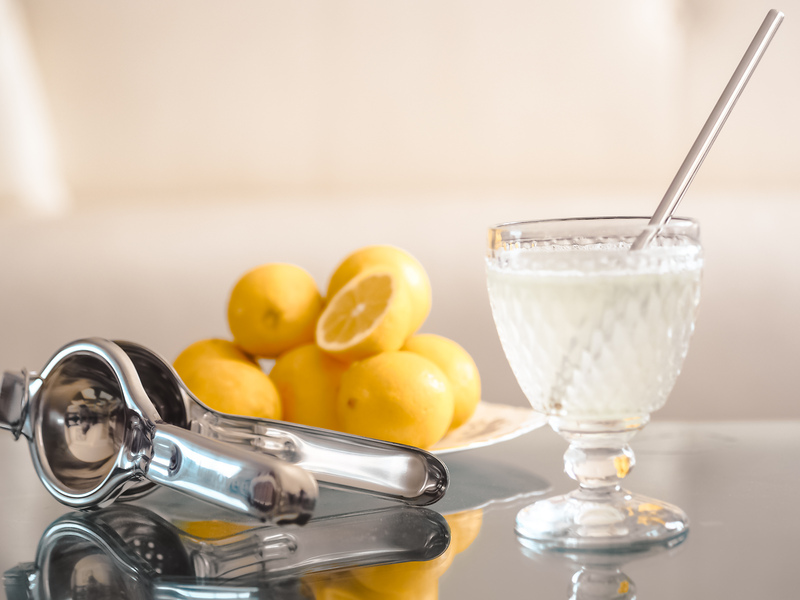 The benefits of starting the day with hot water and lemon seem to be never ending! It kick starts the metabolism, allegedly alkalises the body, helps to flush the system, aids digestion, (although it’s true that even plain hot water would give your digestion a helping hand), it rehydrates the body, boosts the immune system… the list goes on and on, so I thought I’d kick off my this series of my recharged fitness and health posts with how I kick off my day, and why. So, first thing, as soon as I get up, I stumble downstairs and switch the kettle on. 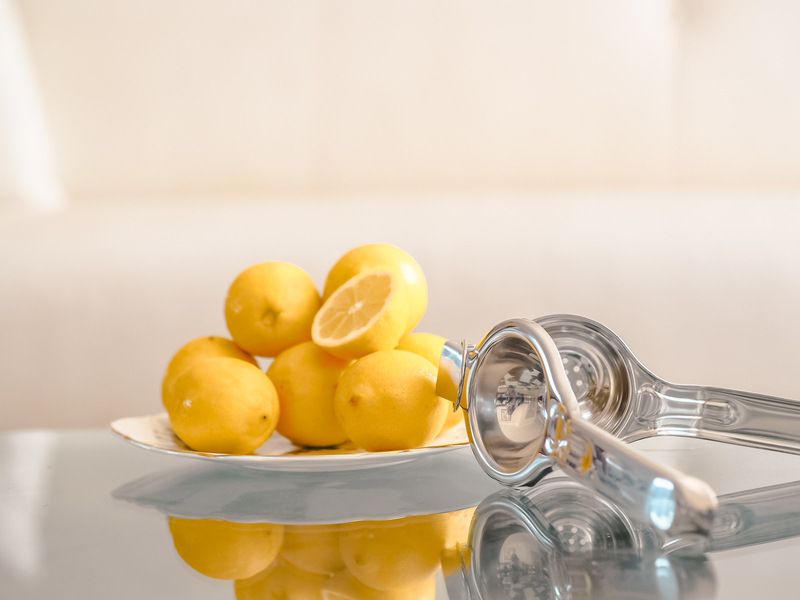 In preparation, I’ll have taken out a lemon from the fridge the night before – it just makes it easier to get all the juice out if it’s at room temperature. I’ll fill a mug half full with room temperature water and top it up till it’s full with hot water from the kettle. It takes me way too long to drink boiling water and I don’t think it’s as good for your insides either – just a bit warmer than lukewarm is best. Then I’ll squeeze half a lemon into that, add a pinch of pink Himalayan sea salt and whenever I remember, a tablespoon or two of Apple Cider Vinegar. Give it a quick stir and that’s it. A super easy, super cheap way to start the day right. As I mentioned above, the benefits are multifold, so rather than go into every single one (because you can easily google that for yourself) I’m going to tell you why I do it and the benefits I’ve experienced. For me, if I start the day right, then I find it just goes better, I feel more positive about the day, I make better choices about food and even exercise – I just feel like I’ve taken control of the day and I’m more likely to stay on the right track. Basically, I like routine and rituals to feel in control, and this is one of the easiest, affordable and beneficial ones I can think of if you’re trying to reset your system like I am. The same goes for drinking water throughout day. I’m as guilty as the next person for not getting enough H2O on a daily basis, but when I’ve started with a big glass of lemon water, I tend to stick to it as the day goes on. It’s said that we lose around a litre of water while we sleep at night, so it makes sense to rehydrate as soon as you get up – for me, it helps me feel less fuzzy and more focussed. 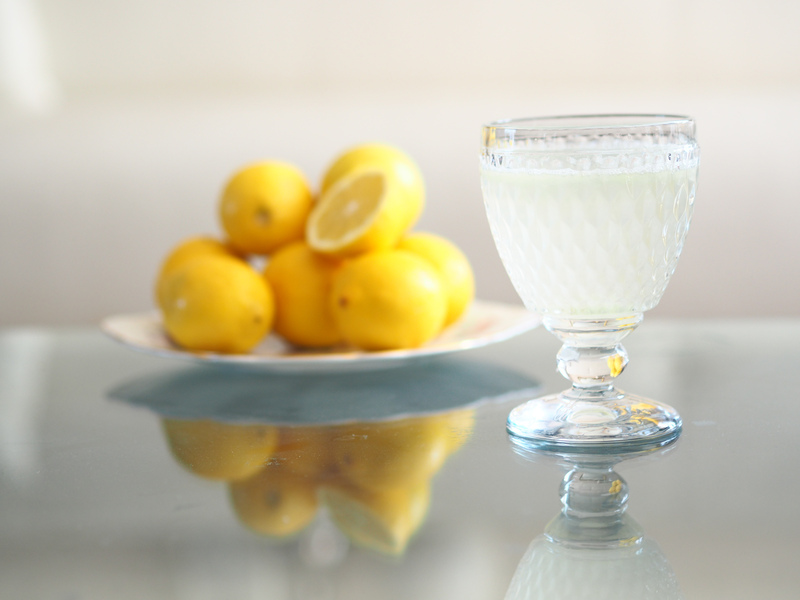 The addition of the lemon juice is a great boost to my immune system, which at the moment is suffering with all the stress and trauma I currently have going on. So I’m starting the day with a healthy dose of Vitamin C – upto 50% of my daily requirements. 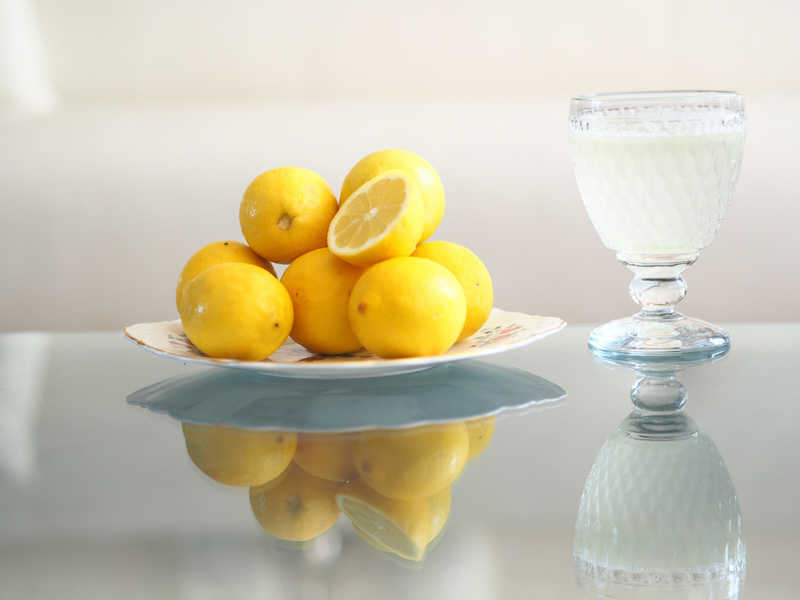 I live the with legacy of having suffered IBS in in my twenties, so I love that the lemon juice helps my digestive system. It can help stimulate stomach acid production and even bile production.The citric acid in lemons helps to maximise enzyme function, which stimulates and aids the liver in detoxification. 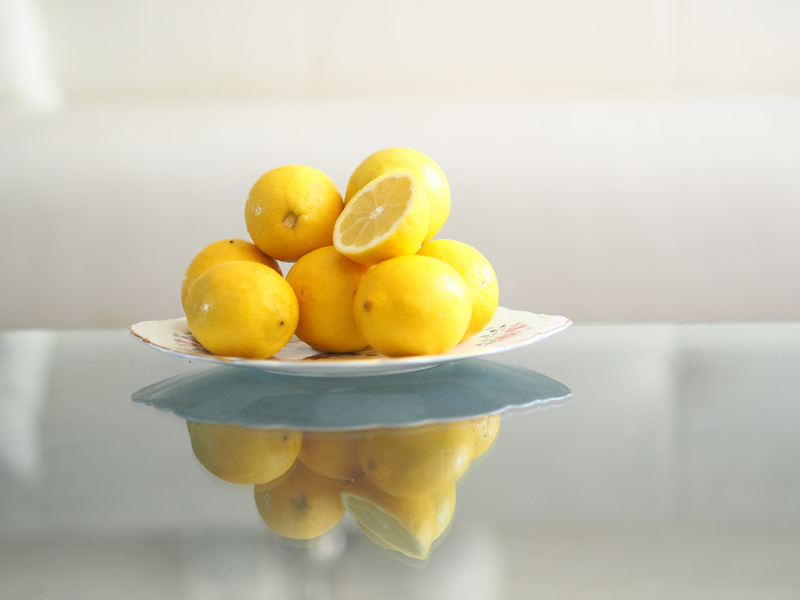 With a recent diagnosis of adrenal fatigue, I’ve been looking at a variety of ways to address this, and lemon water has been one of the easiest things to do. One of the issues with adrenal fatigue is the probability of having an acid balance in the body; the citric acid in lemons helps the body to become more alkaline. In fact, this reason alone was one of the most compelling reasons (for me) to be consistent with my hot water and lemon routine. You’re probably wondering why I add the pink Himalayan salt? The salt is full of natural minerals – in fact it contains over 84 minerals and trace elements, including calcium, magnesium, potassium, copper and iron, all of which our body needs. It helps to prevent dehydration and helps the body to achieve it’s optimal fluid balance. If you think about it, when you’ve been sick or ill, the doctor will have prescribed … you guessed it, rehydration salts. You can’t use just any old table salt; it needs to an unprocessed salt that hasn’t been stripped of all its minerals and trace elements, so a good, unprocessed sea salt or my favourite, the pink Himalayan salt are the best choices. I know I haven’t gone into too much depth, (and I haven’t even touched on the Apple Cider Vinegar or the stainless steel straw) but this post is long enough already, so please do ask any questions in the comments below. Thanks for reading and for hopefully joining me as I start my first steps in regaining and taking control of my health – while it’s true I do need to lose weight, this is not about that, although I’m hoping that will follow as a result of making my health a priority. 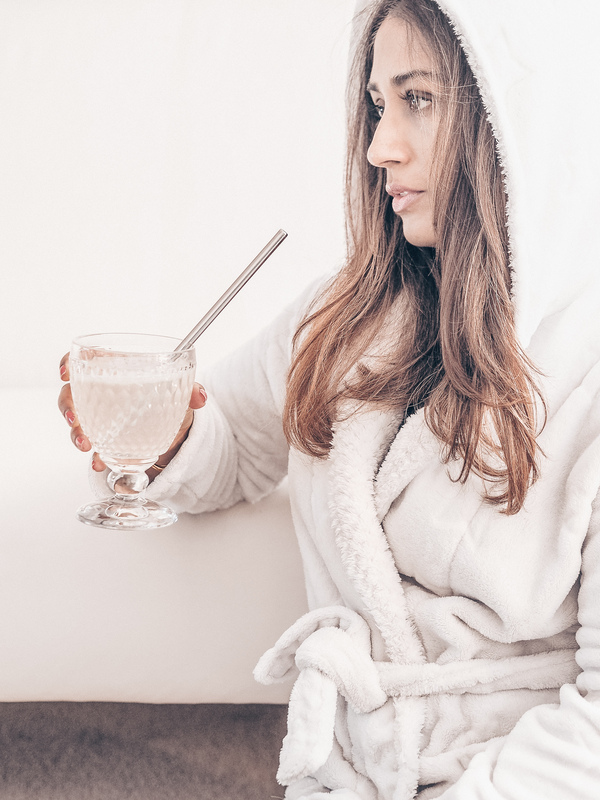 I’m making these changes because I know my health has been sub-optimal for a very long time now – I’ve basically been stumbling through each day, always with low energy levels but pushing myself to keep doing more than I should. So I’m giving it the importance it deserves – I’m only going to get one body and it’s my responsibility to look after it the best I can. I hope you won’t mind reading about it here, peppered in and amongst the beauty posts – let me know your thoughts. And of course, share your experiences if you’ve been making healthful changes in your life. See you over on my Instagram! Next Post Don’t miss this Alpha-H Mask – Launching Today! It’s definitely worth adding, just a pinch, not too much. So many benefits, not least of which are that it balances your body’s pH first thing in the morning and helps to balance blood sugar too. Do you take a daily supplement. I am considering Lumity Life and see you’ve posted about it in the past. I have one question that when you drink lemon water after brush or before brush? Because this is the big question for me.